Nineteen parks, and something for everyone—that’s the promise Metro Parks can deliver. 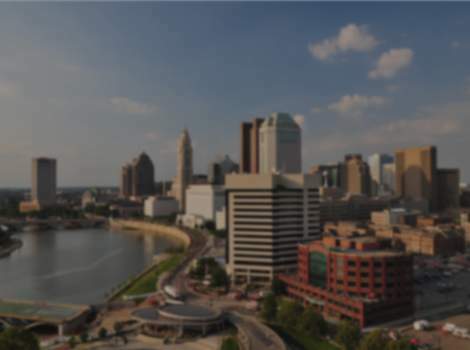 Featuring over 27,000 acres of land & more than 200 miles of trails, these oases of nature in & around a vibrant capital city are a must-see for business & holiday visitors to Columbus. If you seek adventure, try one of the largest outdoor climbing walls in the country, or an obstacle course with nine strenuous challenges, at our downtown Columbus location, Scioto Audubon Metro Park. There are trails at all the parks, but for more rugged hiking, visit Clear Creek Metro Park, with high-ridge walks & steep descents through ravines & hemlock groves. Chestnut Ridge Metro Park offers up a great view of the Columbus skyline, 20 miles away, from the top of the Ridge Trail. If tranquility is more your taste, combine it with a canoe float down Big Darby Creek, one of the most pristine waterways in the mid-west. The creek flows through Prairie Oaks and Battelle Darby Creek Metro parks. The latter is home to a herd of female bison, roaming their large natural prairie enclosures and easily seen from a viewing deck at a nature center or from the Darby Creek Greenway Trail. Greenway Trails are a major interconnecting network of trails along river corridors, ideal for getting around Columbus and avoiding major roadways and traffic delays. Metro Parks manages many miles of Greenway inside and outside our parks, to keep them safe and clean and well maintained. Enjoy a bike ride on the many paved trails, or head out on a nature trail for quiet solitude and the opportunity to see beautiful scenery and abundant wildlife. Take a camera with you and take digital memories home with you. The 123-acre botanical garden, Inniswood Metro Gardens, is a must-see destination on your trip. It features 10 themed gardens, more than 2,000 species of plants and specialty collections, plus streams and woodlands filled with wildflowers and wildlife. Take the time to discover what life was like on an 1880s farm by visiting Slate Run Living Historical Farm. See how it was done, as staff and volunteers in costume perform daily tasks using machinery and equipment before the days of electricity and refrigeration. Spring is a great time to see the birth of farm animals, including varieties of sheep, pigs and cattle common in the 19th century. Or marvel at the beauty and strength of the farm’s Percheron horses, as they help to transport hay, pull plows, or generate true horse power to run a threshing machine. There are several dog parks, trails, and designated dog swimming areas with doggy bags and trash cans available.